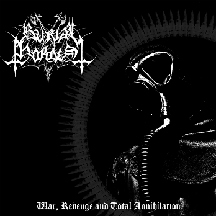 Greek primitive Black Metallers BURIAL HORDES re-issue of their debut album 'War, Revenge And Total Annihilation' will be graced with a new revamped album artwork and layout. 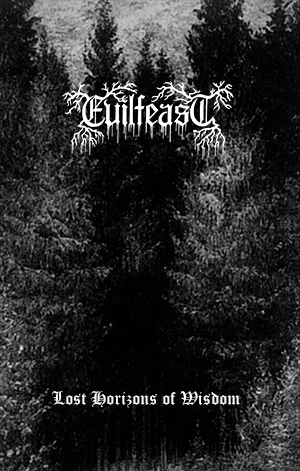 In addition to the re-issue being packaged in digipak format, 2 exclusive bonus tracks 'Bestial Bloodwar' and 'Submission To Eternal Pain' taken from their 'Total Gathering Of Supremacy' split album release with Greek Black Metallers Eschaton, will be included in this special re-issue release. For those possessed by the old flames of Carpathian Forest, Mayhem, Morbid and Aura Noir!